This photo was thought to have been taken in Bridgewater at about 1936 or 1937. It is believed to be at the home of a Boutilier or Smith family. It may have been close to the railroad in Bridgewater. 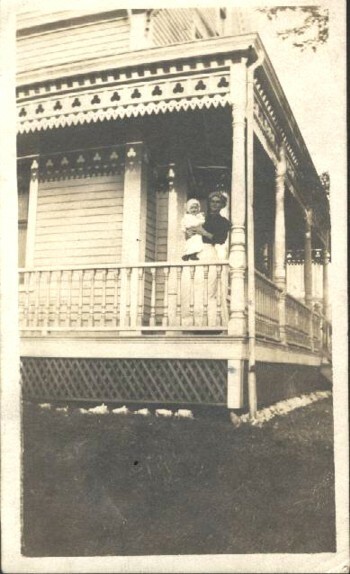 Can any body identify this house, and its location? 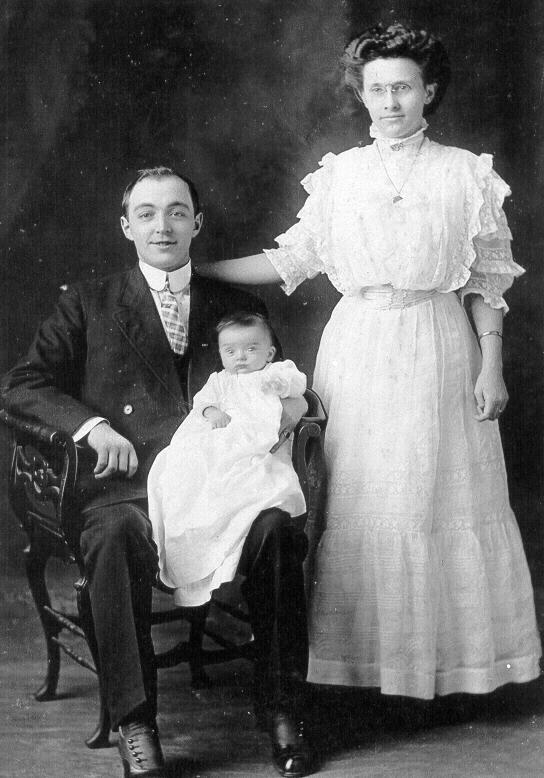 Who is this mother, father and child? This photograph was taken by King in Bridgewater, Massachusetts. The people may be, or possibly have some family connection to, LANGILLEs. The baby’s name is Cecil. On the back of the photograph is written “Cecil at 3 months old”. Can you help identify them? 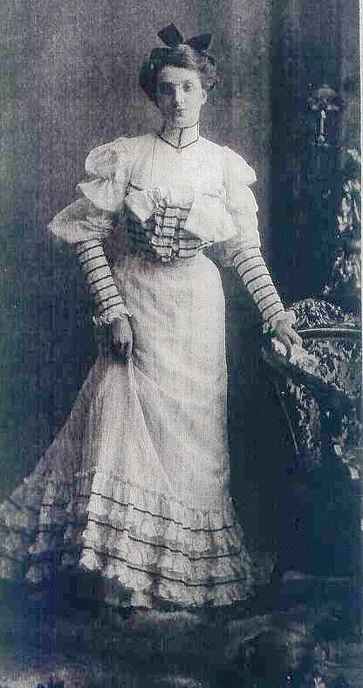 This photograph is possibly Florence Jane (CORKUM) EISENHAUR. Can you identify her? Who is this young girl? 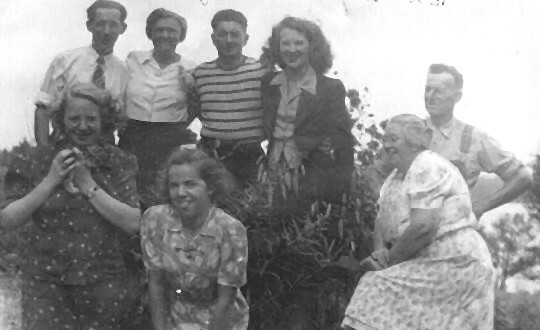 Photograph was taken probably sometime in the 1940s on Joseph Edward Keddy’s homestead on Silver Point Road in Martin’s River. 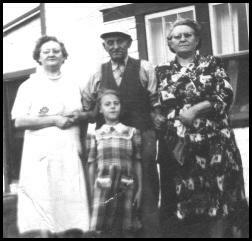 From left to right are Hattie Mae (Isnor) Keddy, Joseph Edward Keddy (Bryan’s grandfather) and Blanche (Schnare) Keddy. If you can identify the young girl standing in front of Joseph, please email.